"I use every technology and social media marketing tactic I can to create an experience not only for home sellers but to attract more buyers to a property, I build a campaign around a home that even the most seasoned agent could not do unless they hire there own agency, I always pull from my experience and I use it"
He offers his home sellers top notch marketing when it comes to marketing homes, before getting involved with Real Estate in early 2005 Matthew was a professional Advertising & Marketing Creative Director and Online Marketing Executive, he uses that knowledge to market his clients homes and is very well versed in online and mobile technologies. 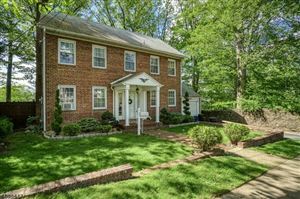 "I just want to take this time to thank Matt for the fantastic job he has done with the selling of our home in Jersey. I live in Florida and the house was sold in six months without us ever going back to Jersey. The price was right and the handling of all the little details was a breeze with Matt handling every aspect of the sale without getting us involved. I know that Matt has gone way beyond his duties with getting things moving on track and in our best interest. I would recommend Matt to every one I know who is in the market.Thanks again Matt.for a job well done." "You did what other agents could not do, you SOLD MY HOME! thank you so much." 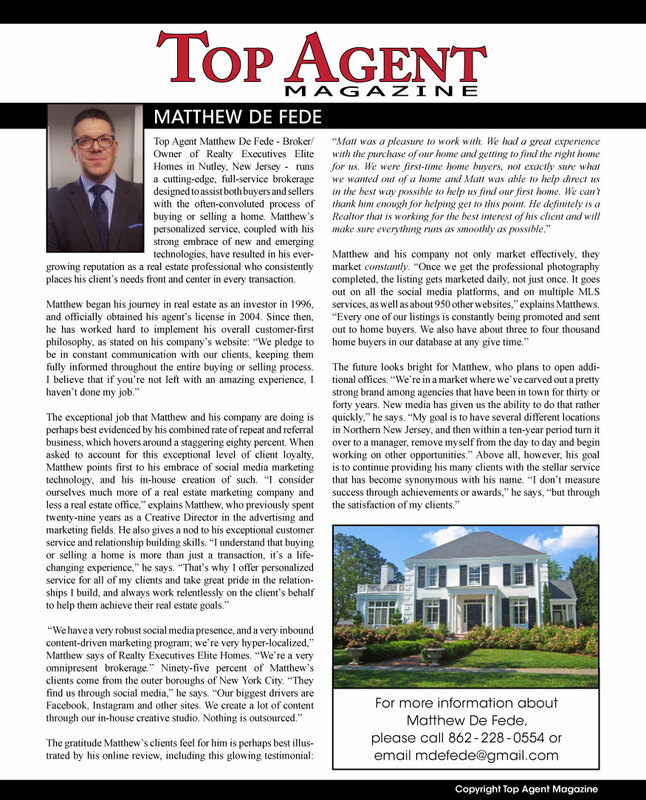 "Matthew DeFede is one of the most creative Realtors that I know. He puts all his knowledge to work for his buyers and sellers. Matt is out in the real world putting out an honest effort. As a Buyer or a Seller what more could you ask for. When asked if I know an agent in NJ I give them Matt!" "All i can say is WOW!!! Matt is one of the most knowledgeable agents ive ever met! he is incredible at what he does. my home sold so fast and for more money than we expected. everything went smoothly. not only is he an amazing realtor but now a great friend!! thank you matt for all you have done for us!!" "Matt is a professional who knows his stuff. He showed us a handful of homes that met our criteria and helped us land our "Dream Home." Our deal was complicated (to say the least) and Matt kept his cool and helped work through our challenges. He is well versed on all aspects of real estate and was able to assist in other areas during the buying process. I would recommend Matt to anybody who is looking to find a home in NJ. We appreciate you Matt!" "I have dealt with few agents before I contacted Matt. Since I'm quite young to become a homeowner, many agents weren't taking me seriously as a potential buyer. But Matt didn't perceive me as a waste of time. As a result, last week I closed on a beautiful multi family home and I would like to thank Matt for it and highly recommend him to others. He is truly a professional who not only knows ins and outs of his trade but also treats you with respect and patience. He spent his entire Saturdays showing me 6-7 properties at once for months (since I was travelling all the way from Brooklyn, i preferred seeing as many as possible in a day) and explained details I should be paying attention to in a home etc. There were even instances when I liked a certain house but he would point out some serious structural problems and advise me against it. He never pushes or "sells" you the home and the only question he asks after viewings is "What do you think?" If I buy another property in the future, I "
"Matt DeFede helped my wife and I purchase our first home recently, and was a big help during the process. Commuting from NYC, he drove us around Bergen County, taught us about the different areas, and helped us put in our offer and ultimately close. He did a great job." "It is my pleasure to recommend Mr. Matthew DeFede whether selling or buying a property. He has the experience and know-how of many, many years in real estate but his personal service is exceptional."